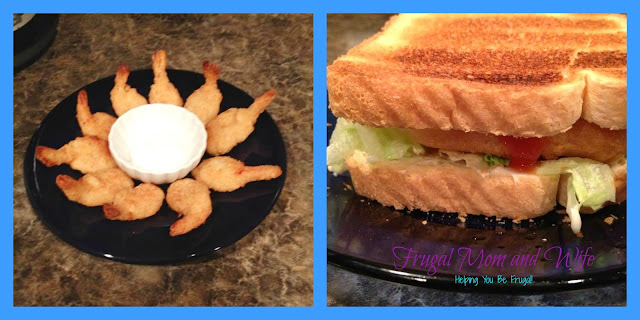 Frugal Mom and Wife: Gorton's Wicked Good Seafood Review & Prize Pack Giveaway! 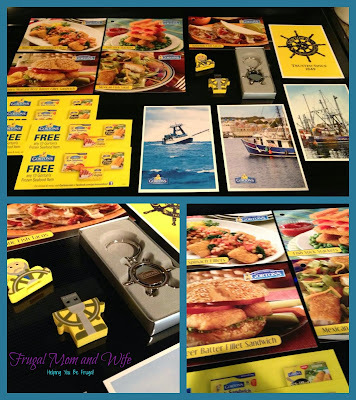 Gorton's Wicked Good Seafood Review & Prize Pack Giveaway! Oh how I love seafood. It can be way too expensive to enjoy on a weekly basis. Or can it? Compared to what you can get at most seafood restaurants, the last thing you think is "Oh I can get that in the freezer section at the grocery store". To be honest, you can! Gorton's make the most yummy seafood you can stick right in your oven. Does it taste like cardboard? Well let me tell you about my experience with Gorton's. It DOES NOT taste like cardboard! Actually Gorton's supplies the most scrumptious frozen seafood I have ever tasted. They offer a wide variety of seafood from Beer Battered Fish to Butterfly Shrimp. Butterfly Shrimp was my absolute favorite. My hubby doesn't care to ever eat shrimp, he's a fisher and feels they shouldn't be eaten. Gorton's Butterfly Shrimp completely changed his mind. Oh yeah they did. I thought I'd have them all to myself, nope he scarfed them down. Every Gorton's product we tasted had us completely baffled that frozen seafood could really taste so good. Want more inspiration for your Gorton’s meals? Enter the Gorton’s Wicked Good Sweepstakes to win a trip for 4 to Boston, MA that includes airfare, lodging, activities, and spending money! Sweepstakes ends on 10/18 at 3 PM EST. See Gorton’s site for official rules. Here is your chance to win your very own Gorton's Prize Pack! We eat Gorton's fish regularly. Would love to have the coupons. Gortons is one of the few 'fish" I will eat at all---I am not a fish eater (seafood like lobster or shrimp is a different matter altogether-love them)--It always tastes so good. I love doing fried fish and fried rice for a mid week meal. Great timesaver! I love fish and this is so easy to make!